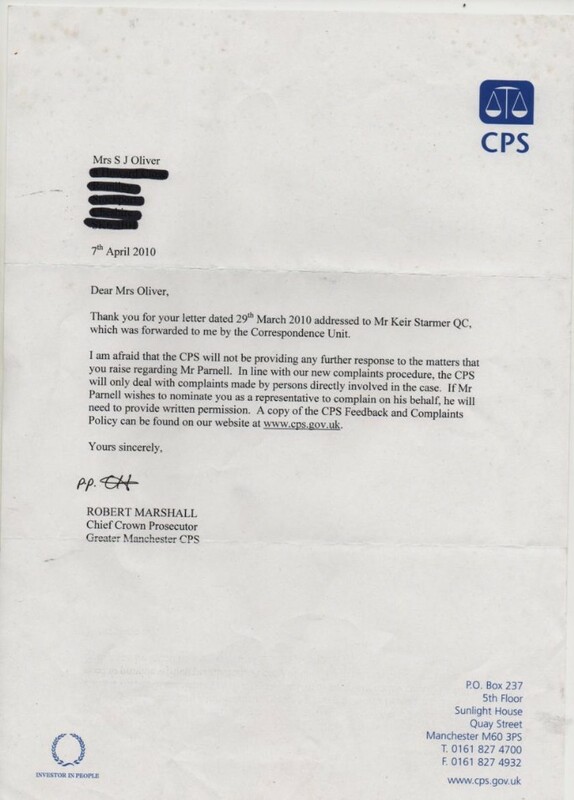 Robert Marshall, Chief Crown Prosecutor, Greater Mancheser Crown Prosecution Service wouldn't life a finger to help Mr Parnell back in 2010. The abuse continued right up to his death aged 58 in 2013. Shame on you Mr Marshall.